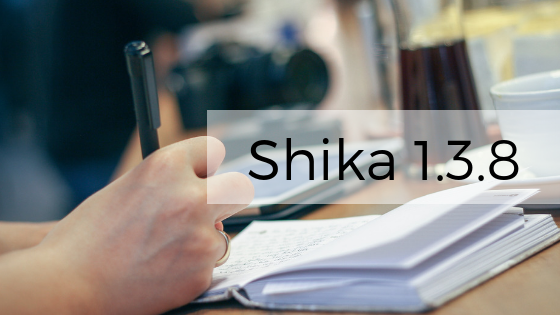 We are happy to release Shika 1.3.8. With Shika 1.3.8, course creators can render course’s custom fields on the certificate. During the assessment, Assessors can also preview files uploaded for file upload question type for exercise and quiz. Google Viewer and Microsoft viewer are currently supported. Besides this, we have also released some features in alpha to manage some dependencies and fixed a few bugs. With Shika 1.3.8, we have provided flexibility to Course creators to add custom fields to the certificate in addition to some pre-existing tags. There are multiple types of fields like text, list, calendar, radio etc. These fields are created in course fields and associated with field groups. After setting a value to the field during editing/creating the course, the fields are added to the certificate template and actual value of the field is displayed on the certificate after completing the course. For assessment feature in Shika, we have enhanced the functionality for file upload question type by providing a file preview option for the file uploaded by the user in case of quiz and exercise. A configuration has been provided in the backend for File Preview Engine. Course creator can choose from Google and Microsoft Viewer. In addition to these directly usable features we have brought in some infrastructure changes that will eventually power a Full Frontend Course Authoring, an Independent lesson Library as well as Assess Any Lesson functionality. Note that while we are shipping the following parts of these features right now to solve some dependencies, It's not recommended to use these features in production projects.